so something a bit crazy happened while i was in australia. an opportunity came up for work in singapore, and i was invited to go for a few days. i immediately said yes, but then realized i had nothing to wear. now, i’m not being dramatic. i literally had nothing. all i brought to australia were flip flops, sneakers, t-shirts, and shorts. i spent a day running around melbourne to get some basics to look decently business appropriate, and even had to buy makeup. when it came to the shoes, i was faced with the decision of buying a cheap pair that i would just wear and toss after singapore or a pair that has been on my list forever that was (a bit) more expensive but would be keepers. i bet you can guess which one i chose. 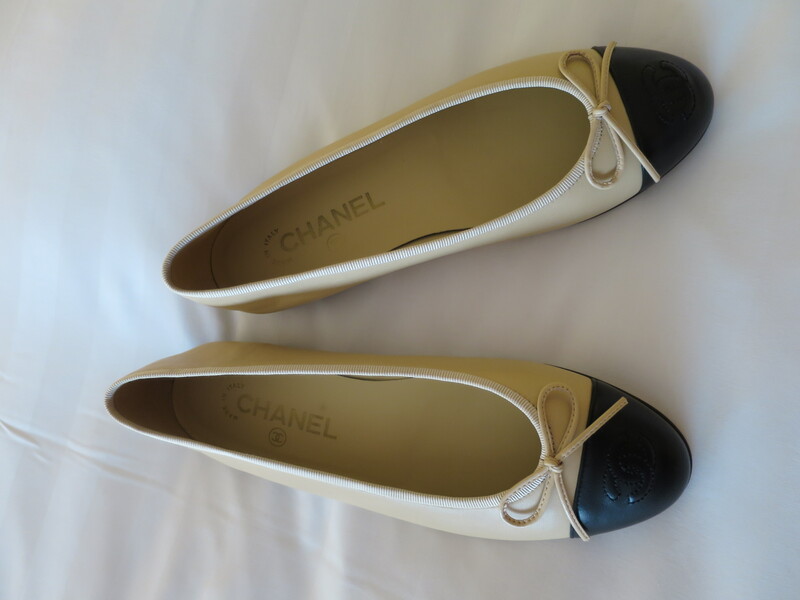 say hello to my beautiful chanel ballet flats. when i came back to america, these babies went straight to the cobbler and then were coated twice with leather protecting spray. paranoid much? i sometimes just want to look at them all day.